I have a problem: I can’t stop buying books. My tastes have changed dramatically over the last few months so I’ve been discovering lots of new books and therefore can’t resist buying them all. I suppose there are worse problems to have! As soon as I saw the new re-issues of Chimamanda Ngozie Adichie‘s books, I had already mentally bought them. I’ve wanted to read her books for a long time, but have only so far gotten to We Should All be Feminists – which I think is essential reading for everyone! 4th Estate have brought out these new gorgeous editions of Purple Hibiscus, Half of a Yellow Sun, The Thing Around Your Neck and Americanah, which I think will really encourage me to read her books soon. I’ve also been collecting the Penguin English Library series recently so I picked out a few more to add to my ever-growing pile. I bought The Scarlet Letter by Nathaniel Hawthorne because I’ve been studying Tess of the D’Urbervilles by Thomas Hardy recently and The Scarlet Letter, although American, has similar themes of sin and the idea of purity. So I thought it would be some good extended reading! I then added Silas Marner to my collection of George Eliot novels; I started reading Middlemarch a few months ago and am liking it (although I’m struggling to find the time to read it amongst all of my other books – it’s massive! ), so I thought I’d try some more George Eliot soon. I don’t know much about it but I do love the purple hue of the spine. Two Charles Dickens novels then – A Christmas Carol and Great Expectations. I read A Christmas Carol at school a few years ago but can’t remember much of it other than the basic storyline so I’d like to revisit it before Christmas this year. I watched the BBC miniseries of Great Expectations a few years ago and really enjoyed it, but it’s never felt right to read it until now. So I’m expecting good things! And then because I consider Thomas Hardy among my favourite authors, I bought The Mayor of Casterbridge and Two on a Tower. I am incredibly excited to read these because I’m in love with Hardy’s Wessex and could read his books all day, every day. I LOVE them!! There is then The Woman in White and The Moonstone by Wilkie Collins, which I didn’t know too much about beforehand but have been recommended to me by lots of people in the last few weeks. They’re mystery novels and Wilkie Collins was one of the authors who inspired Agatha Christie, so I’m sure they’ll be brilliant, even if they are slightly different to what I’d usually read. Finally for my Penguin English Library pile, I bought Vanity Fair by William Makepeace Thackeray. I have no idea when I’m going to get round to reading this huge book, but it was loved by Charlotte Brontë, which is why I want to read it. My Brontë obsession is getting out of hand! The final three books are all by Vita Sackville West – The Edwardians, Pepita and All Passion Spent. Vintage have reissued these editions recently, and I knew I had to buy them. It’s my aim to read as many Bloomsbury and Virginia Woolf-related books as I can, and Vita Sackville-West was a friend of Virginia Woolf and partly inspired her book, Orlando! From Hachette, I was sent Crooked Kingdom by Leigh Bardugo, the sequel to Six of Crows. I’m looking forward to reading them back to back, even if I didn’t love Leigh Bardugo’s other book, Shadow and Bone. Also part of my quest to read Bloomsbury-related books, I bought The Waste Land and other poems by T.S. Eliot. The Waste Land was first published by The Hogarth Press, Virginia and Leonard Woolf’s publishing company and I also love poetry, so I can’ wait to read this. It’s a staple part of the poetry canon, in my opinion, so I’m hoping to read it ASAP. I had recently read a little bit on John Keats’s life, so I thought I’d check out some of his poetry. He died tragically young and his life is very interesting to read about. I don’t know a lot about his poetry, so I’m looking forward to exploring it soon! Anne of Green Gables is a children’s classic – but I’ve never read it, and I’m sure I’m missing out! I love the Vintage Children’s Classics editions and they even have fun little activities in the back. I can’t wait to start this series! I first heard about Grief is the Thing with Feathers last year, when I did work experience in a bookshop. I’d been intrigued ever since, so finally bought a copy now that the paperback has been released and people are talking about it lots again. I did buy the hardback though! Finally, because of my obsession with Virginia Woolf, I found this copy of The Charleston Bulletin Supplements which was written by Virginia’s nephews and which she contributed to too. I’d never heard of this before so it was a lovely surprise to find! Isabel Greenberg is one of my favourite graphic novelists so when I first heard about her new one, The One Hundred Nights of Hero, I was incredibly excited. Her artwork is amazing and couples with her ability to weave incredible, fairytale-like stories which makes for a magical reading experience. I’m going to curl up with it one weekend and devour the amazing stories within! Another graphic novelist I like is Nina Cosford, who has previously published little graphic novels on the lives of Jane Austen and Virginia Woolf, and her latest book is My Name is Girl which looks like it’s going to offer a funny insight into the mind of being a woman. I’m looking forward to it lots! And the final book on my pile is this gorgeous collection of three Brontë novels, published by Barnes and Noble. It was gifted to me by my lovely friend Lauren and I did feel rather emotional when she gave it to me – it’s one of the best gifts EVER. I’m incredibly in love with it and would take it everywhere with me if I didn’t think it would get damaged if I did. THANK YOU, Lauren! Those were the books that fell in to my hands in September! I’m estimating that October will be a far less busy month in terms of book buying because I don’t think I have any more room for more books! What books did you get in September? Are there any on my list that you think I should read immediately? Don’t forget to click the ‘heart’ button below if you enjoyed reading this post! 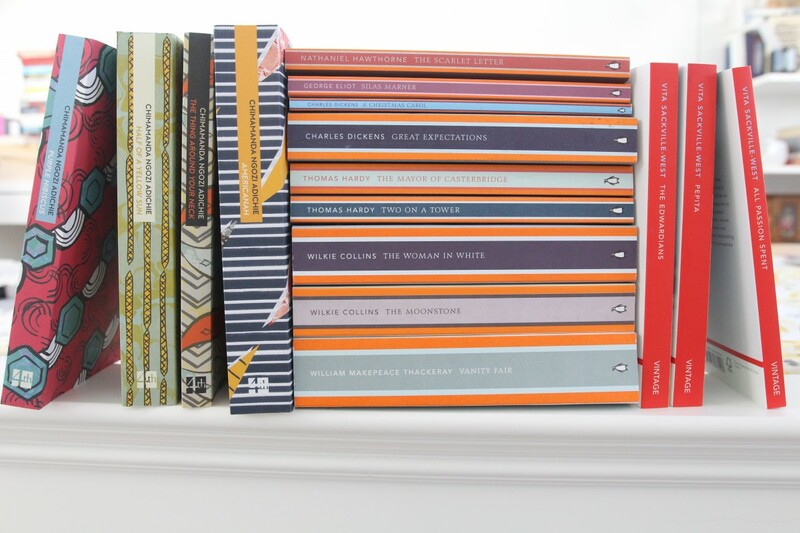 You always make me want to go out and buy the entire Penguin English Library collection argghhh! I don’t have any at the minute but I’ll have my own stash one day 😀 Such a great haul! Lucy, your classics collection is stunning! I hope you love Anne of Green Gables. She’s such a fun and witty character. I love the Penguin English Library collection! They just look so classy <3 I love Six of Crows, and I can't wait to read Crooked Kingdom! Also, I've heard nothing but amazing things about My Name is Girl, so I hope you'll enjoy it! Yesssssss all the Hardy yesss. 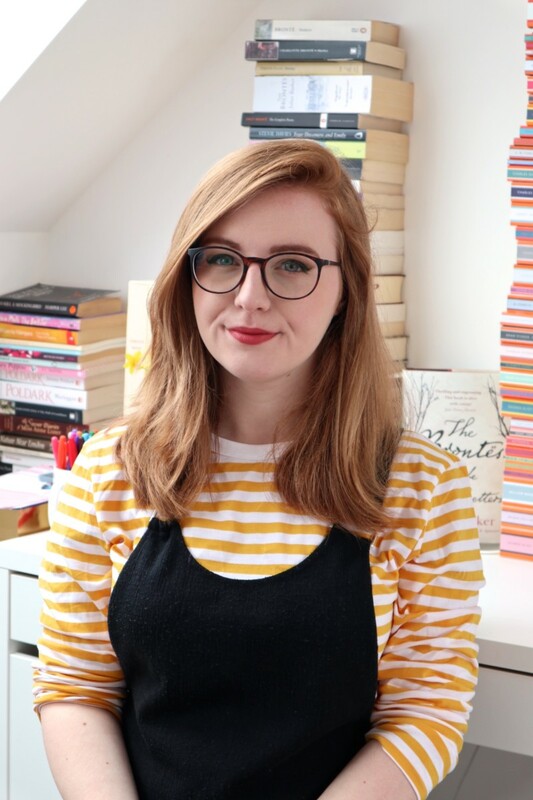 I would love to watch a review video once you’ve read your new Hardy acquisitions where you talk Wessex and let us know which novels are you faves so far. Like you, I have a serious book problem. I went to my library, where they were selling books they no longer wanted in their collection 2 for $1. 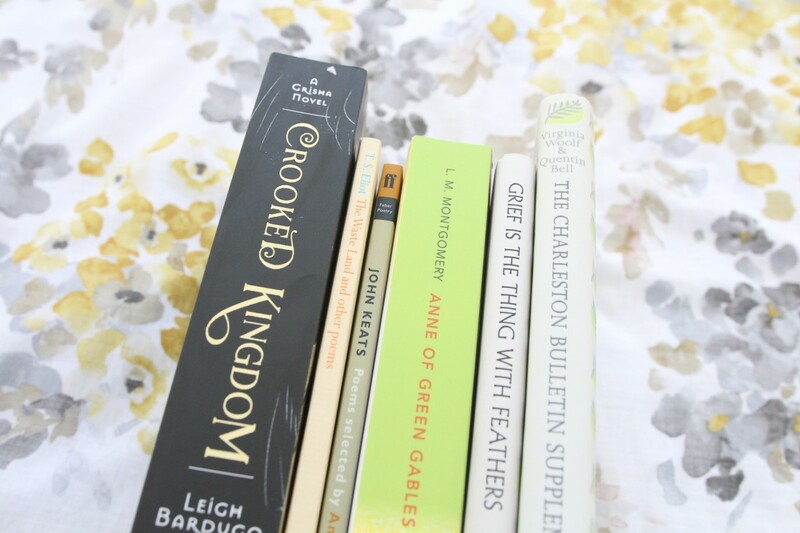 I bought 6 books! I’m very much looking forward to reading Trainwreck, a non-fiction book that came out last month from Sady Doyle. It’s all about how we as a society enjoy tearing down women and watching famous women (like Lindsay Lohan) self-destruct. I also got Unboxed when it came out! I know you got a copy hot off the factory presses. 😀 Very excited to read it soon, but I’m also delaying because I don’t want it to be over!